Heather Cap has lived in Fayetteville GA for the past 4 years, where she is the owner/operator of and upholstery shop called No Business Like Sew Business LLC. She works on various film and theatre projects as well as private clients. When not running her business, she spends her time with her husband and 2 kids and boxer dog. 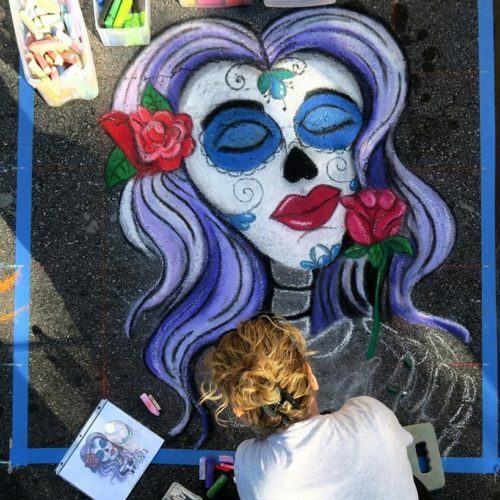 She’s a proud member of the GACAG and participates in as many chalk festivals and community events as she can. Recently she won 1st place in the Patriotism at the Post chalk event in Ft. Oglethorpe, GA.